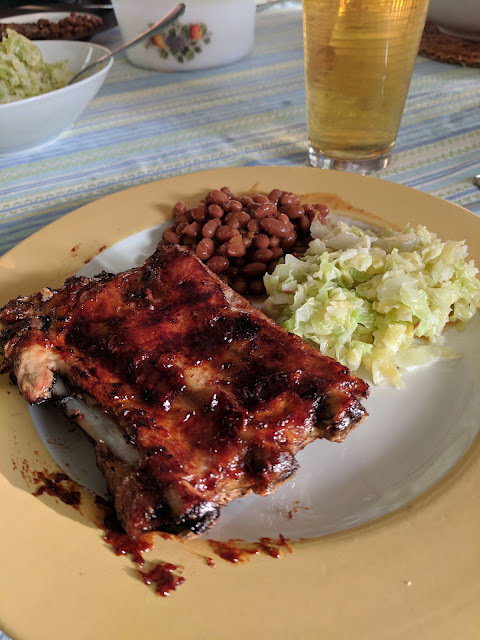 First time ever we made ribs. Beans and homemade slaw on the sides. It all came out great, and there will be more of this in the future.